We invite you to write to Tocho at koe AT metro.tokyo.jp. Please cc sachiko AT foreignsection DOT org so that she can forward your mail to the Parks and Cemetery division. Alternatively, or in addition, you can send snail mail to Governor Shintaro Ishihara, 2-8-1 NishiShinjuku, Shinjuku-ku, 163-8001. Since a meeting with the Cemetery and Parks planning section will be held on TUE, JAN 16 2007, we'd appreciate you sending your letters within the week. 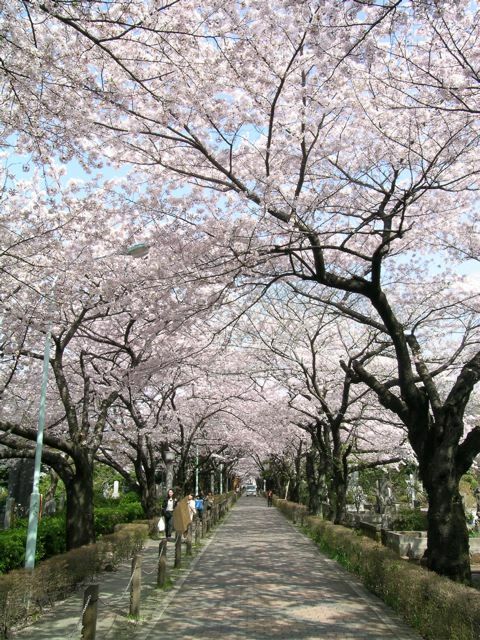 In the context of the Cemetery and Parks Section's stated aim to create a park in Aoyama Bochi and to preserve the graves in the Gaijin bochi, we think that removing greenery in the Gaijin bochi and building a wall, steps, and a monument is counter to that stated aim. Furthermore, this plan with its removal of greenery ignores Governor Ishihara's vision for a greener Tokyo and goes beyond his idea for a monument. Specifically, removing greenery and replacing it with a wall, tiles, and cement goes against common sense when creating a park. The bushes now in place serve as walls and are pleasing to the eye. Second, there are currently no steps to prevent handicap access now. The creation of steps necessitates the creation of ramps, a further infrastructural imposition, so we oppose this. Third, in regard to a new monument, the cemetery essentially contains monuments, some of which we know little about but which could be of great interest to the public and to posterity. We believe the presence of a new monument could encourage future Cemetery and Parks Section staffers to view the new monument as a replacement for the older ones. So, we also oppose the construction of the monument. In sum, we believe the building of what appears to be a facade and the unnecessary modernizing of the current infrastructure is a great disservice to one of the last remaining pieces of the Meiji era in Tokyo. So, we would submit that the construction is a poor use of taxpayers' money and propose re-purposing the budget towards historical research, specifically engaging in the creation and presentation to the public of a database of names, dates and historical data about the deceased that would be educational to the public, because we believe this information will be of much higher value to the public than the new infrastructure and monument. We now ask you to put this unnecessary construction project aside, and instead to invest in historical research and preservation of the site that is in line with the Cemetery Park Section's statement that no graves will be moved or removed. In closing, it is indeed unfortunate that we did not receive the plans from you at an earlier date even though we asked many times since last summer, so we recognize it is regrettable that we need to discuss the plan at this late stage. We would like to meet with you to discuss this at your earliest convenience. PS: The left side of the road in the photograph below is indicative of how the front of the Gaijin bochi has looked for as long as I can remember.